Gutierrez’s previous deep dive into Mexican folklore in the gorgeous Book of Life. 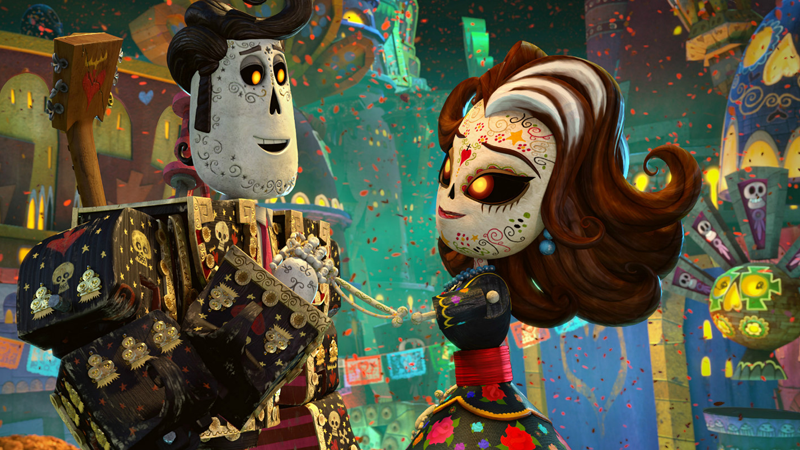 Netflix is making a big play for animation with today’s announcement of six new projects across film and TV—but sitting at the intriguing heart of that is a new limited series from Book of Life director Jorge Gutierrez that aims to turn Latin American folklore into a new fantastical epic. Variety reports that Gutierrez will direct Maya and the Three—a nine-episode limited series set to release in 2021—as well as co-write and co-executive produce with Elena of Avalor’s Silvia Olivas, and Moana’s Jeff Ranjo will serve as head of story. The series, which Gutierrez tells Variety is basically “Mexican Lord of the Rings, but hilarious,” will follow a young half-human, half-divine girl named Maya, a princess who must recruit three legendary warriors in a quest to save the world. Given the extensive and gorgeous work that went into bringing Mexican folklore to life for Book of Life, Maya and the Three has a lot to live up to as it explores Mesoamerican mythos for its source material. Joining Maya and the Three in Netflix’s announcements is Kid Cosmic, a new superhero show from The Powerpuff Girls’ Craig McCracken that follows a young boy having his dreams of being a superhero answered when he finds some cosmic stones, and an adaptation of Ruth Stiles Gannett’s children’s novel My Father’s Dragon—directed by Nora Twomey and written by Meg LeFauve, as it follows a young runaway in his quest to find a captive dragon on a mysterious island. One thing’s clear from all this: In the wake of Disney pulling its own roster of animated films from Netflix for its own streaming service, Netflix wants to make sure it’s got plans of its own to rival the House of Mouse. Head on over to Variety to read more about the full slate of acquisitions, and check out Netflix’s brief preview of the talent behind its new acquisitions below.